Cryptotronix is excited to announce a partnership with TilePay to help enable cryptocurrency payments to IoT devices. TilePay is a decentralized payment system based on the Bitcoin blockchain. With TilePay, it is possible to pay for real-time access to IoT sensors using micropayments. Cryptotronix is building open-source authentication hardware and firmware to enable Pinocc.io devices to securely participate in TilePay. The solution is built around Atmel’s ATECC108 chip which allows each TilePay enabled sensor to have a unique ECDSA private key. 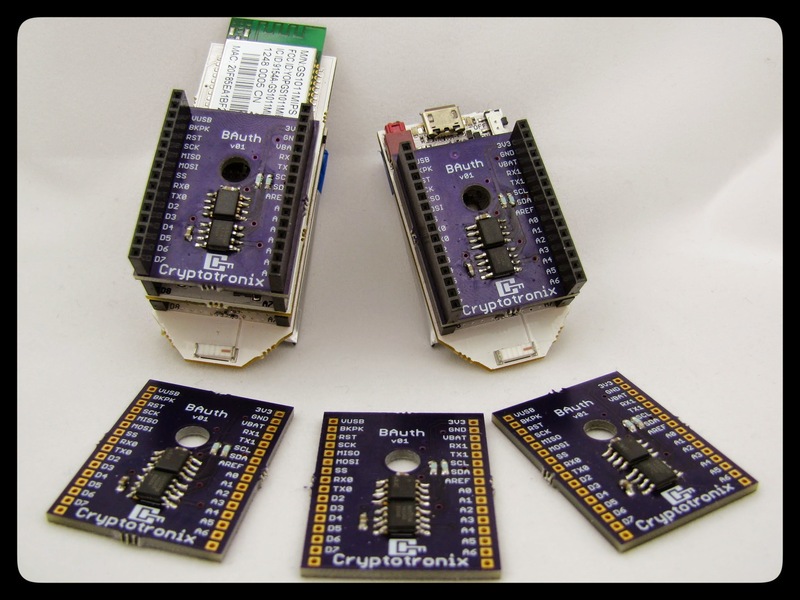 The same chip is on the CryptoCape by SparkFun Electronics and Cryptotronix. When TilePay users purchase the sensor data, they can verify the authenticity and origination of the data. Let’s consider an example. A company, organization, or a private citizen spends their own money to setup a temperature sensor network. The administrators can offer the temperature service for free (maybe they’re generous), they can charge a subscription fee to the service, or maybe they provide a free service that is subsidized with ads. With TilePay, there is a better option. TilePay will allow real-time access to the sensor and the users only pay for what they use using Bitcoin-based micropayments. The CryptoBackPack is currently a prototype as you can see from the picture below. We’ll be releasing the hardware design files and firmware soon. Be sure follow this blog (click follow in the bottom right) to receive updates on the CryptoBackPack and other Cryptotronix news!